Obama's mass-murdering CIA aids and abets the enemies of the United States and are the very personification of the "enemy domestic"
Seddique Mateen, the father of the Orlando, Florida nightclub shooter Omar Mateen and self-styled leader of a pro-Taliban Afghan government-in-exile in Florida, is emblematic of the American policy that permits extremist propaganda operatives to be nurtured on US soil. Since the Cold War era, the US Central Intelligence Agency has exceled in finding the most extreme Cubans, Eastern Europeans, Afghanis, Uighurs, and others to concoct and broadcast incendiary propaganda on airwaves funded by the US government. As the late ABC News and Christian Science Monitor journalist and pre-eminent Middle East expert John Cooley so correctly observed in his book, "Payback: America’s Long War in the Middle East," when the United States replaced Britain and France as the major Western power player in the Middle East, it was repeatedly paid back for "poor judgement and often disastrous policy errors." One of the most disastrous policy errors was the decision by the Jimmy Carter administration to provide weapons and other support to some of the most radical Islamist "holy warriors" in Afghanistan. Soon, these Afghan radicals were supplemented by "Arab Legion" jihadists cobbled together from terrorist cells in Egypt, Yemen, Libya, and other countries in the Middle East and North Africa. The Carter and Ronald Reagan administrations set the groundwork for radicalized veterans of the jihadist military campaign against the Soviet Union and the Democratic Republic of Afghanistan to establish a foothold in Afghanistan and elsewhere in the Middle East. 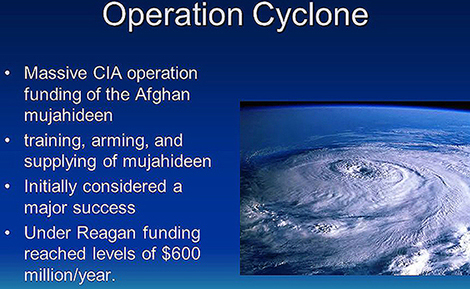 For an entire decade, the Central Intelligence Agency’s Operation Cyclone saw to it that extreme jihadists, whose only commonality with the United States was fervent anti-Communism, were ferried to staging areas in northwestern Pakistan and safe zones inside Afghanistan to take on the Soviet and Afghan forces. Funds from the CIA, Saudi Arabia, and other Muslim countries were funneled to Osama Bin Laden’s and Dr Ayman al-Zawahiri’s Maktab Khadamat al-Mujahidin al-'Arab (Arab Afghan Services Bureau) or MAK to recruit their jihadist Arab Legion from the Middle East and North Africa. The radical Taliban established the Islamic Emirate of Afghanistan in 1996. 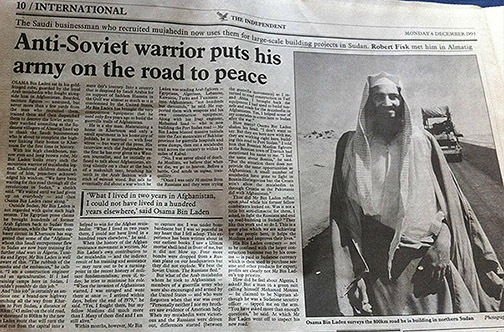 The Taliban welcomed their old ally in the war against the Soviets, Bin Laden, to move his al-Qaeda organization to Afghanistan. The Taliban, al-Qaeda, and various radical jihadist factions in Afghanistan had all benefited from the short-sighted policy of Washington to arm these groups to the teeth without having to worry about the "blowback" that experts like Cooley, but very few others, found so problematic. Seddique Mateen arrived in the United States during a time when Ronald Reagan considered the Afghan mujahidin to be "freedom fighters" who were fighting "oppression" in the same spirit that George Washington fought British colonizers. Reagan’s complete ignorance permitted individuals like Mateen to find political sanctuary and support in the United States, a country from which he and his fellow travelers could promulgate their radical and antiquated views. The jihadist attacks on the Boston Marathon; Fort Hood, Texas; a military recruiting station in Tennessee; a Christmas party in San Bernardino, California; and the Pulse nightclub in Orlando can all be laid at the feet of America’s insane dalliances with jihadists in wars beginning with the Afghan campaign and extending to the American invasion and occupation of Iraq, the destabilization of Libya and Syria, and aiding and abetting jihadist forces fighting Russia in the Caucasus region, including Chechnya. It is «blowback» in the truest sense of the word. The uncle of Tamerlan and Dzhokhar Tsarnaev, Ruslan Tsarni (aka Tsarnaev), is linked to the CIA. Tsarni was married to the daughter of Graham Fuller, one of the chief CIA architects of the radicalization of Muslims to act as radical foot soldiers for the United States, whether in Afghanistan against the Soviets or in the Caucasus against Russia. 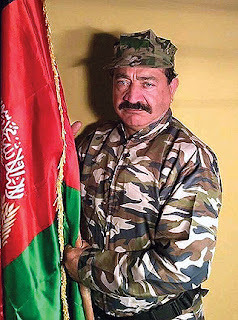 Mir Seddique, aka Mir Seddique Mateen, is a self-styled leader of a government-in-exile of Afghanistan that is based in Port St. Lucie, Florida. He has called for the overthrow of Afghan President Ashraf Ghani and trials for him and his predecessor, Hamid Karzai. America’s commitment to the "propaganda war" has also enabled jihadists to spread their radical message, often via US government-subsidized airwaves and satellite feeds. Seddique Mateen operated a Florida not-for-profit company called "The Durand Jirga, Inc." For years, the CIA subsidized Cuban radio and television stations in Florida, for example, Radio and TV Marti, which have done nothing but ratchet up ill will toward the government and people of Cuba. These efforts sometimes resulted in acts of terror committed by expatriate right-wing Cubans in the United States against Cuban and other targets. The template for Afghan and other Muslim expatriates in the United States who are involved in CIA and VOA propaganda is no different from that involving the Cubans, and, in the more distant past, Eastern European refugees and defectors. Radical messages are «de rigueur» for such elements of society. US propaganda institutions have been rife with fraud, waste, and abuse. As pointed out by columnist Fulton Lewis, Jr. in 1958, Radio Free Europe had well in excess of 2000 employees, who, when not belching forth unverified news copy directed at Eastern Europe, were lolling around their offices waiting for their next paychecks. 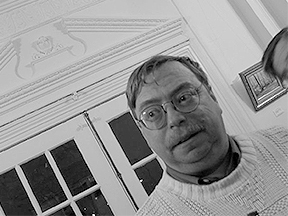 Lewis wrote, Radio Free Europe "is a ridiculous, wasteful, juvenile exhibition of futility to provide jobs for what is mainly a horde of free-loaders." The free-loaders of the Cold War have today morphed into the likes of Seddique Mateen and his band of radicals busy blathering their incoherent messages in Dari, Urdu, Pashto, Farsi, Uighur, Chechen, Arabic, and Kurdish, all at the American taxpayers’ expense. The elder Mateen also hosted a television program called the "Durand Jirga Show." 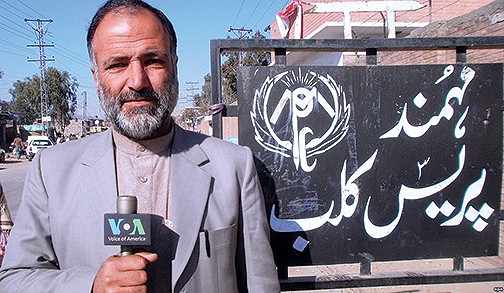 The show is broadcast on the Afghan satellite network "Payam-e-Afghan," which is headquartered in Los Angeles and broadcasts in Pashto and Persian. 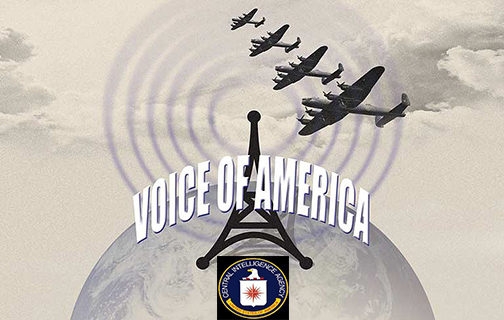 Los Angeles is the home to a number of CIA- and VOA-subsidized satellite broadcasts in Arabic to the Middle East and in Farsi to Iran. Seddique Mateen’s own operations are clearly part of a pro-Taliban network of Afghan and Pakistani propagandists who have used television and radio networks funded by the CIA-influenced Broadcasting Board of Governors (BBG) to spread their messages to audiences throughout the world. Mateen claimed he runs his own intelligence network. However, this network appears to consist of his colleagues who are involved in South Asia’s propaganda war using satellite programs broadcast in Pashto – major languages of Afghanistan and Pakistan – Mateen’s own broadcast language-of-choice Dari, and Urdu. The BBG’s attempts at winning over the hearts and minds of the people of Pakistan and Afghanistan are considered major failures and a waste of taxpayers’ funds. Even after the 9/11 terrorist attack on the United States, the VOA’s Pashto service gave a propaganda platform to the Afghan Taliban. After the September 11 attack, Spozhmai Maiwandi, the director of the Voice of America’s Pashtun service, jokingly nicknamed "Kandahar Rose" by her colleagues, aired favorable reports on the Taliban, including a controversial interview with Taliban leader Mullah Omar. It should not be surprising, therefore, that Seddique Mir Mateen’s own views side with those of the Taliban. The presence of a number of pro-Taliban Afghan-Americans in the United States was facilitated by the CIA’s support for the mujahidin cause in the Afghan jihadist war with the Soviet Union in the 1980s. 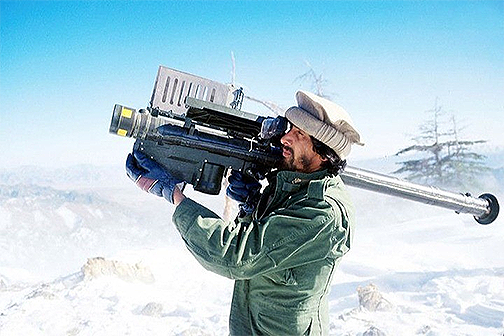 Even Afghan-American diplomat Zalmay Khalilzad, the former US ambassador to Afghanistan, Iraq, and the United Nations, served as a key interlocutor between the Taliban government of Afghanistan and the UNOCAL oil company in Houston in the late 1990s. Today, those links serve Khalilzad and the CIA well at the CIA-linked Center for Strategic and International Studies (CSIS) in Washington, where Khalilzad serves as a counsellor. Some 60 percent of the comments on the VOA’s Pashto language service’s Ashna TV website praised Omar Mateen and his actions in Orlando. And the American taxpayers fund this activity through their financial support for the VOA and the BBG. And, as Secretary of State, Hillary Clinton championed the expansion of these broadcast services. In 2011, Clinton testified before the House Foreign Affairs Committee that her department needed additional funds for the propaganda war. She said, "During the Cold War we did a great job in getting America’s message out. After the Berlin Wall fell we said, ‘Okay, fine, enough of that, we are done,’ and unfortunately we are paying a big price for it... Our private media cannot fill that gap." The radical messages broadcast by Payame Afghan and Ashna TV are the results of Mrs Clinton’s efforts to expand US propaganda broadcasting. For the CIA, keeping expatriates like Seddique Mir Mateen and his pro-Taliban colleagues at the VOA on the government dole is to ensure a ready supply of interlocutors and agents-of-influence are maintained inside radical circles.